The Lafayette Park Hotel is a special place to get married not only because of the quiet spender and elegance that shows through in wedding photos I've made there, but also because I was married there. Our ceremony took place in the courtyard as most weddings there do. I checked the location of the sun on the day we were to be married, and planned the time of the wedding ceremony so that the sun would be in the best location for photos. I scouted out the lobby, and decided the best time for a family group photo on the stairs. 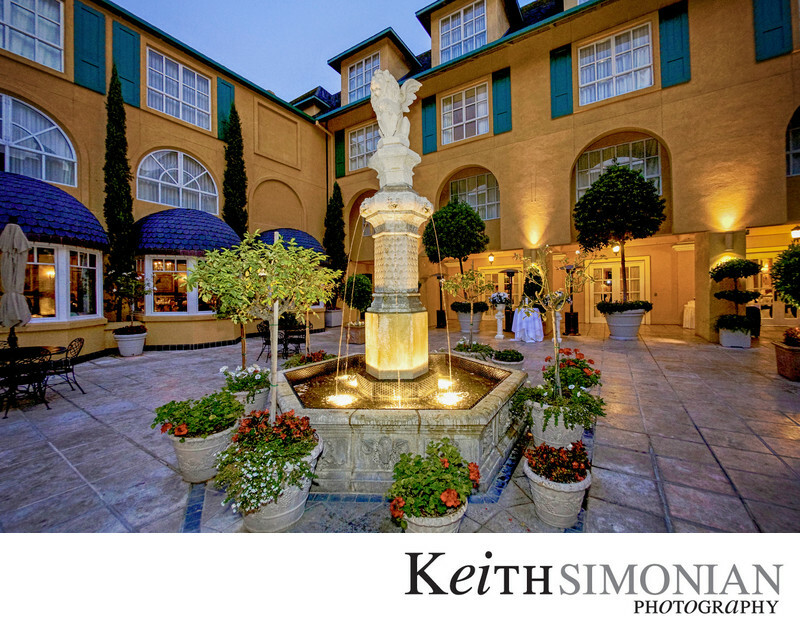 I know all the angles and best locations to make wonderful photos from your wedding day should you choose Keith Simonian Photography to photograph your wedding day at the Lafayette Park Hotel. Location: Lafayette Park Hotel 3287 Mt Diablo Blvd Lafayette, CA 94549. 1/25; f/4.0; ISO 640; 15.0 mm.